Let’s start by defining what energy is at the core with something I learned from an incredible, life transformational program I attended this past January: ULTIMATUM. The seminar is led by the wizardly Donny Epstein, a man who Tony Robbins has accredited for having created some of the most powerful, revolutionary methodologies for personal transformation. At the seminar, Donny said, “Energy is the context to all content.” What does that mean? It means that every single thought, feeling, action, concept, idea, creation, emotion, and decision we make is influenced by the amount of energy available to us. Energy is the unit for all creation and life. We need physical energy so that our body can function properly. We need emotional energy for rapid changes in behavior. In fact, emotion is a code-word for energy in motion. We need mental energy to create and formulate higher order thoughts, concepts and a vision for our life. We need the energetic of Soul for the knowing and expression of our unique gifts, to connect with others at a core level and receive their gifts, to connect with our purpose and calling, and to experience the fabric of all creation. Now that we have this basic understanding of what energy is, we can look how energized we are in three simple ways: energy poor, energy neutral and energy rich. When we’re showing up as energy poor, we’re in break down mode. We can’t even sustain the level of life we’ve been living. We may be losing money, our health may be declining, our relationship or personal identity may be falling apart. And our sole focus is on survival. Then there’s an upgrade to energy neutral where the focus is on maintaining status quo. There’s no profound progress nor changes…and if any, they’re just ones within our comfort zone as opposed to radical changes and progress where we must step out to instability for growth. Energy neutral is okay, comfortable, and good. Then we zoom out to energy rich where abundance is our natural state of being. We see so many possibilities and opportunities everywhere. We are able to sustain a baseline and take the actions necessary to support radical growth and progress…creating a newer, higher level baseline. Life is amazing, outstanding, incredible, wonderful, a beautiful gift, a blessing, and epic at this state. Inspiration, victory, love, joy, passion, and excitement are all states of energy richness. Inspired to show up with energy richness and unlock your super saiyan? 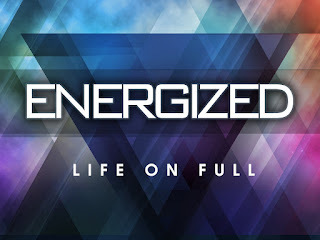 Here’s 9 practical strategies to living a richly energized life. Our physical body needs oxygen. Without it, we can die within minutes. Unfortunately many of us don’t even know that we’re not receiving enough oxygen to sustain richly energized states of being. Sitting hunched over for 8 hours a day as we work on our computers supports a posture that makes it difficult to breathe deeply and nourish majority of our cells with oxygen. Fortunately…I’ve got a spectacular solution for this: 1-4-2 breathing method daily. I first learned about this method through a Tony Robbins seminar and immediately noticed vibrancy throughout my body after a few minutes of using this breathing. Think drinking tap water is ok? Think again. Tap water is flooded with arsenic, aluminum, fluoride, prescription, and over-the-counter drugs. In disbelief? Read this educational article by Dr. Mercola. Just like most of us aren’t receiving a rich amount of oxygen, we’re also chronically dehydrated…and a lot of this has to do with the quality of water we’re drinking. Did you know that nearly 40% of the bottled water we think is spring water is actually tap water? As for the water that may truly be natural spring water, there are chemicals leaking into the water from the plastic, especially when the bottle is heated through sun exposure and exposed to light (this includes florescent lights in grocery stores). Now, our bodies are about 60% water…and just like oxygen, water is an essential element needed for a richly energized life…let alone any life. My recommendation is to drink natural spring water. You can do what I do and order Mountain Valley Spring Water in glass packaging (glass because nothing leaks into the water). I’ve been using them for the past 7 months and have been very happy with the quality of their water and service. You can also have some fun with it and find a local natural spring. Just make sure to fill up in glass or another safe container! Knowing the results that are most important to us laser focuses our energy, time and attention to best creating that result. The issue is I, like many of us, was brought up in a “to-do list” culture. I’m not saying there’s anything wrong with a to-do list; what I am saying is going off to-do lists keeps us focused on the activity as opposed to the results…and that can limit us from seeing greater actions and resources to attain our results. I think Tony Robbins has developed an outstanding strategy for this: the RPM plan; results-focused, purpose-driven, massive action plan. Clarity is power and hen we make a clear decision on the result we want, our reticular activating system supports us in subconsciously bringing our focus to everything that’s relevant to achieving our result. The last part of RPM is MASSIVE ACTION! Now when we’re in full tilt do, do, do mode…we know that we’re taking the most strategic actions to best achieve our result, as opposed to just getting busy in the habit of doing things. Have you ever laughed so hard that milk came out your nose? Or maybe you spat your drink out? Aren’t those the greatest laughs? Maybe not the pain or embarrassment that comes with it, but the deep belly laughs that generate the humor of that moment. Laughter is medicine and it’s very contagious. If you want to experience how energizing it can be to laugh, next time you’re feeling sluggish start a laughing contest with a friend. Even try this…begin with fake laughing as hard and loud as you can with a friend. Eventually, both of you can’t help but realize how silly and funny it is and you’ll both start to really build up the laughter. Sooner than you know it, you’ll be belly laughing and you’ll be fueled with energy as your body releases endorphins that uplifts your mood, increases bonding, stimulates your organs, and improves your immune system. Add belly laughter into your daily rituals and you’ll live a richly energized life. Our nervous system is the processing system and software for our life. It sends messages from our brain to every single cell, tissue, muscle, and organ in our body. It processes information from both our outside and inside world. It’s what gives us our perceptive abilities to differentiate what we feel, see, taste, hear, and smell. When there’s disconnection in our nervous system, there’s a disconnection in our full expression of life. And today we live in a world where we have more information flying at us with greater speed and quantity than ever before. We feel more overwhelmed, anxious, stressed and fearful from the silliest things when our ancestors were focused on running away from man-eating tigers. One of the best things we can do today for our health and life is to upgrade our nervous system. And one of the best ways I’ve discovered we can upgrade our nervous system is through the healing modalities created by the man I introduced initially, Donny Epstein. In fact, receiving Network Spinal Analysis care and using Somato Respiratory Integration exercises supported me in overcoming anxiety. I consistently use SRI daily and receive NSA care, and every time I do so…it feels like I’m getting an iOS update for my nervous system so I run smoother, better, more effectively and efficiently…and ultimately live a richly energized life. Assuming you’ve got a healthy garden that’s free of GMOs and pesticides…the foods you grow and eat out of your garden are going to be significantly more nutrient-rich than the foods you’ll find at a grocery store. How? For one, you can trust the quality of the foods from your garden since you’re involved in the planting and growing process. You also can pick the food when it’s most ripe…unlike most major food vendors who pick off earlier so they’ll last longer in the grocery stores. Picking the food when it’s ripe ensures that it has peak nutritional content. Gardening also adds a spiritual aspect in our relationship to food and nature. We facilitate and participate with a process of life, and in the consumption of our food…we feel the bond with our food. Now you may be thinking you can’t garden because you don’t have an outdoor garden. Fortunately one of the easiest ways we can get involved with gardening happens in the comfort of inside our home…and that’s through growing sunflower seed sprouts. If you have patio space available you can bring pots to plant greens like kale, arugula, butter lettuce, and collard greens. You can also check the Internet for any community garden spaces. Beyond the the nutritional and spiritual benefits of gardening, assuming we garden outside…we’re able to be exposed to more sunlight and gain more Vitamin D. an essential vitamin for a healthy, energized life that most of us are actually deficient in. To exercise alone is great, but to compete in group sports is powerful for expanding our boundaries of fitness. With competition, we are challenged to show up with more physical and mental energy…calling forth greater strategies, communication, team work and hustle from ourselves to win the game. There’s also a strong factor of accountability that makes it more fun and engaging as we play and train. For me, I love to play soccer. If you’re interested in trying something new, I recommend participating in a Spartan Race. They’ve been growing famous for their epic obstacle courses, fun challenges, and the group camaraderie and teamwork built into a festival-like experience. Want to increase your chances of accomplishing your goals by over 25%? Get an accountability partner. According to a study done by Forbes magazine, people who shared their goals with others had over a 25% chance of achieving their goal as opposed to the group who didn’t share their life goals. Having accountability partners has been one of the greatest success strategies people have used throughout time. I personally have multiple accountability partners I check in with on a daily basis. A key thing I’ve learned when choosing accountability partners is to pair up with someone who’s dedicated to living an epic life and who shares similar values as yourself. When you know who this person is and you’re both game for teaming up together…make a commitment to show up honestly and fully, as well as inspire and challenge each other to be greater consistently. Gratitude is the best medicine. When we feel grateful, we feel rich. Sir John Templeton, one of the richest people in history, said that the secret to wealth is to cultivate an attitude of gratitude. When we look at the science of how gratitude changes our biochemistry, Dr. Masaru Emoto studied how emotion affected the molecule structure of water. What’s most interesting is seeing the beautiful crystalline features of when water is blessed with love and gratitude. Consider the effects of what emotions does to water into a bigger perspective. Our bodies are made of over 60% water, and after seeing the images from Dr. Emoto…imagine how powerfully gratitude can change our body and life on a molecular level. It’s been proven that emotions turn on and off certain gene expression. Now, add this with the knowledge from Dr. Emoto’s research and you can really see the wonderful benefits that feeling and expressing gratitude regularly can have on your life. Gratitude is one of the most energizing emotions we have available in our range of emotions. One of the fastest ways we can feel gratitude is to use questions to direct our focus. For instance, what are all the things grateful for right now? Try the experiment on focusing, feeling, and expressing gratitude to yourself and others for 15 minutes every morning and evening. 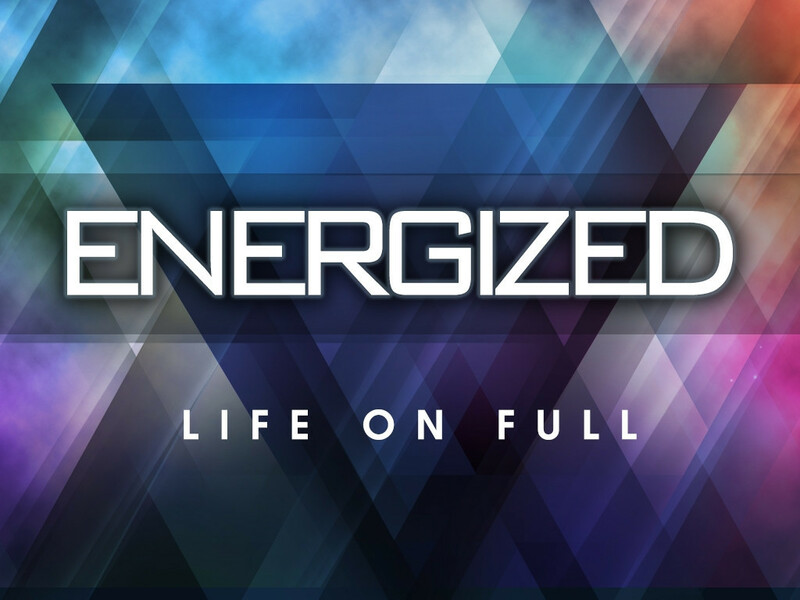 You’ll see just how quickly you’ll have a richly energized life. Focus on at least one strategy a day for the next 9 days. And do it with at least one person…so you’re incorporating accountability already!